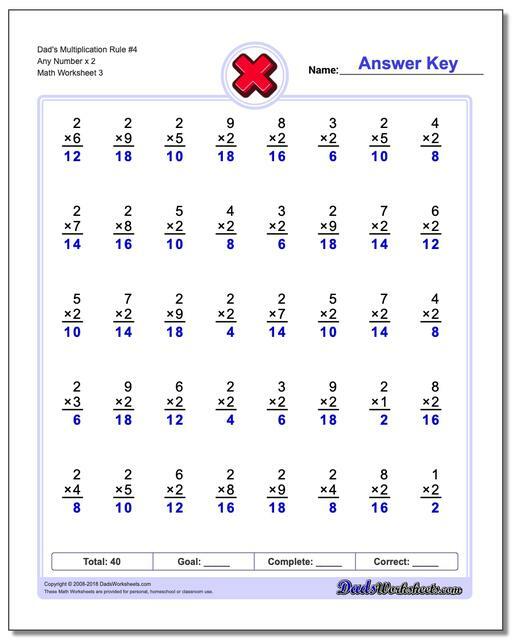 These practice multiplication worksheets support the concepts in Dad's Eight Simple Rules for Learning Multiplication and provide an alternative to rote memorization of the times table. This is a great series of multiplication worksheets to incrementally master the times tables using just a handful of rules. 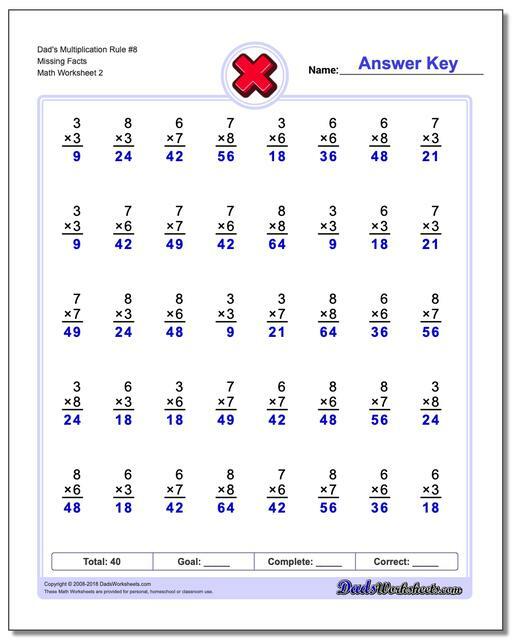 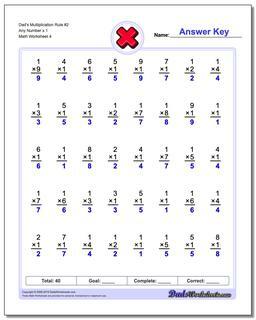 There are a number of approaches to learning multiplication facts. You can print out a multiplication table and stare at it for a few hours, but that could be as much a cure for insomnia as anything. Drills with multiplication flash cards are another favorite, one that I endured grudgingly after school many a day waiting to get to my afternoon dose of cartoons as a kid. But if you're looking for the fastest way to learn the multiplication facts, you can't go wrong starting with this set of simple rules that break the mutliplication table down into an increasingly smaller set of facts that you have to memorize. By learning only a few simple multiplicaiton rules, and relying on a solid understanding of the addition facts, any student can master the multiplication table in no time and be a rock star on all of those timed math fact drills the schools are so fond of these days. 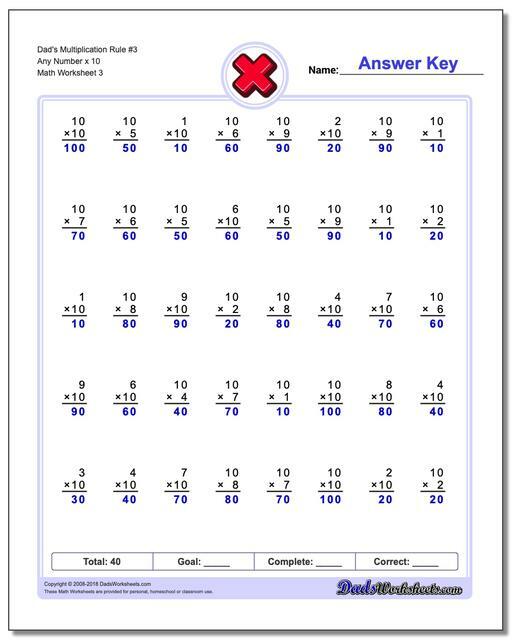 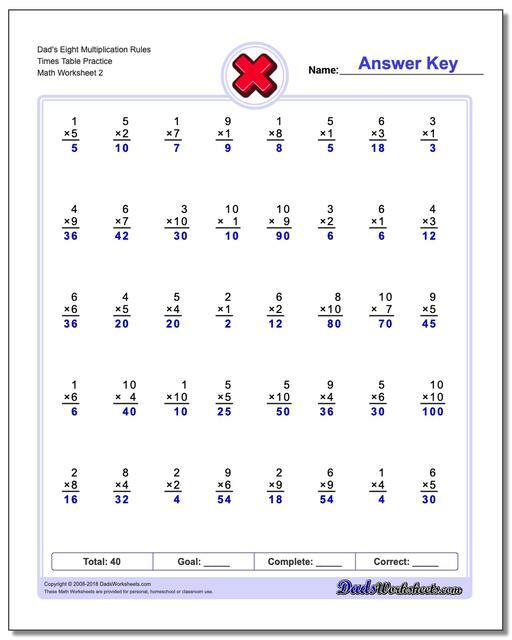 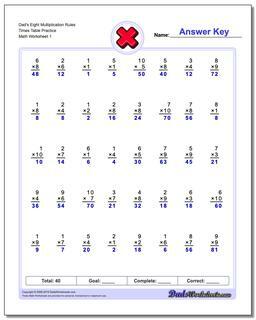 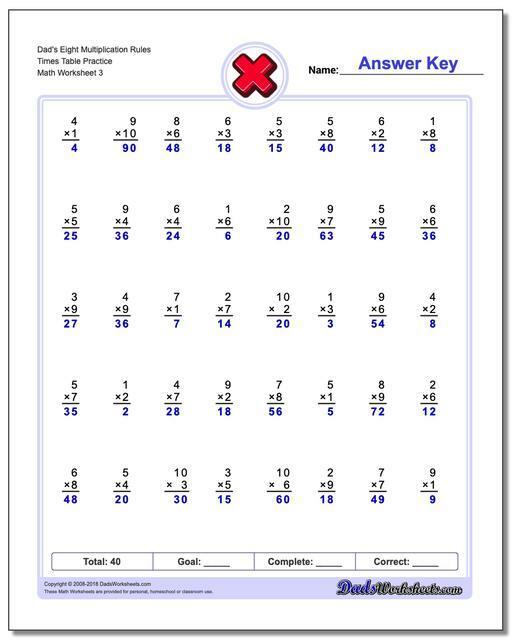 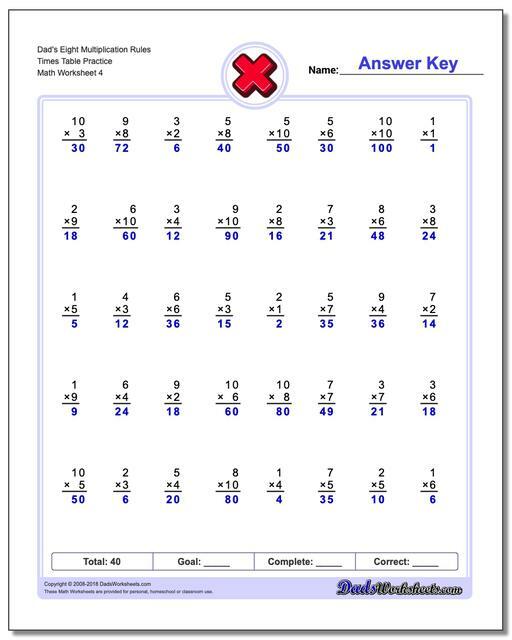 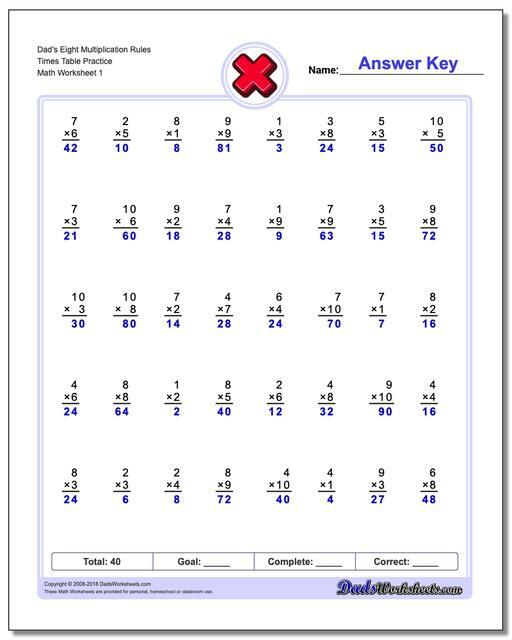 Give these multiplication worksheets a try, and be sure to check out the article Dad's Strategy for Learning Multiplication that discusses the rules in more detail. Here is a similar approach from Arthur Benjamin, a guy who is at least three times as smart as I am.